The fully automated Remote Valet Parking Assistant in the BMW i3 research vehicle combines the information obtained by onboard laser scanners with the digital plan of a building, for example a multistorey car park. When the driver activates the fully automated Remote Valet Parking Assistant, using his smartwatch, the vehicle is driven quickly and autonomously through the various parking levels to a parking space. In the meantime, the driver can already be on the way to his next appointment. The fully automated Remote Valet Parking Assistant and its sensors accurately detect not only the physical features of the building but also any unexpected obstacles – such as incorrectly parked vehicles – and, equally accurately, will steer a course around them. 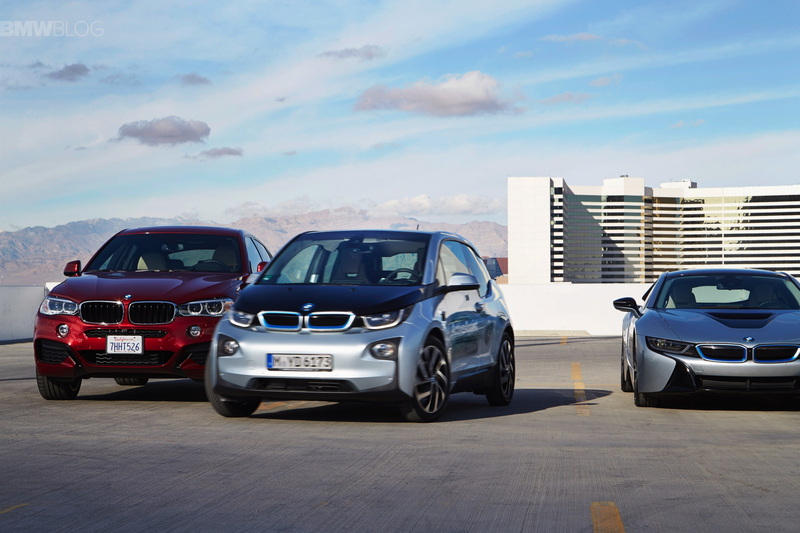 When the BMW i3 reaches its final parking position, it parks and automatically locks itself. It then waits to be summoned in due course by a smartwatch voice command. On receiving such a command, the fully automated Remote Valet Parking Assistant calculates the exact time the driver will be back at the car park, and then starts the BMW i3 so that it reaches the car park exit in time for the driver’s arrival. 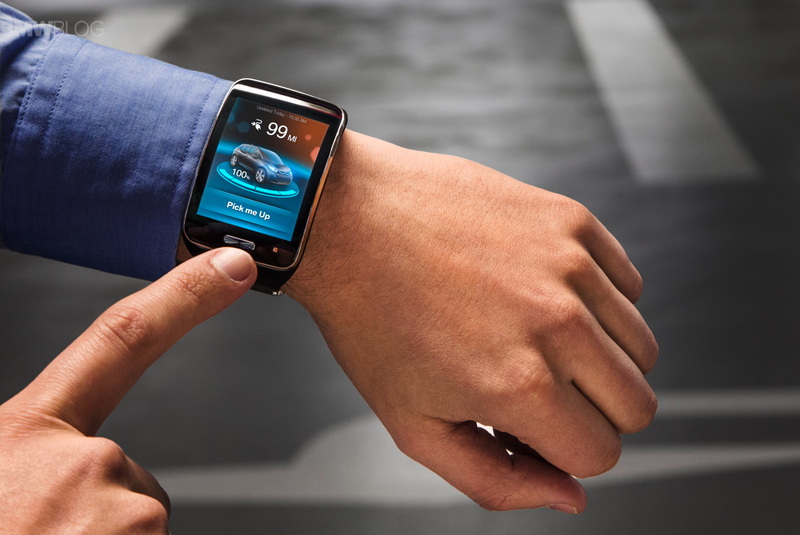 By integrating vehicle sensor data with the digital car park plan, BMW has made it possible to control the vehicle fully automatically without having to rely on a GPS signal. The research vehicle is equipped not only with laser sensors but also with computing modules and algorithms, allowing it to precisely determine its position in the car park, to perfectly monitor its surroundings and to navigate autonomously and fully automatically. This allows vehicles to orientate themselves and navigate without going to the expense of fitting the car park – or other facility – with special infrastructure. 9 Comments on "BMW i3 Parks Itself In Multi-Story Parking Garage"
Interesting. But I wonder what problem is this solving. I’d rather have (pay for) autonomous hwy driving. I understand BMW though, the i3 is primarily a city vehicle. But with the REx it is capable of hwy driving too. In any case, automated parking, solves a minor inconvenience, while automating long trips on the hwy would solve a major one and be safer for everyone involved. It solves the problem of wasting time and effort of parking. Most people do a lot of parking but very little long trips on highways so many small inconveniences will add up to a large one. And it’s one of the low hanging fruits of self driving cars since it’s fairly simple, predictable and at low speed. It also has a positive effect on aunomous highway driving since the developing teams and skills are already there. Not that BMW doesn’t already have teams working on all aspects of autonomous driving already, they are one of the front runners in the technology. I’m guessing that many BMW drivers are no stranger to valet parking. This removes the minimum-wage employee from your vehicle. All joking aside, this allows more cars to be parked in a given area. You don’t need room between them to open the doors anymore. In a crowded city, that’s a huge bonus (think 1/2 price parking garage fees to use smaller spots). The obvious next step (to me) is automated sharing of wireless charging points. Whichever car arrives first starts charging. When finished, the car automatically moves to an available non-charging spot and the next car can charge. For one, I say, “great idea!” and one I would use as I absolutely hate parking in tight city parking garages. So – a great autonomous feature. Yet Elon Musk already cited that Model S can only use it’s auto find and pick-up feature on private property. We must remember the legal liabilities here – the reason this feature cannot be used. In most countries there would never be a court case. Or even be anyone stupid enough to try that since you wouldn’t get anywhere with it, just a word of advise to look out a bit more next time you’re in a parking area. I’m sure every autonomously driven yard would be meticulously (video) recorded. Fresh from watching parts of a couple auto industry keynotes from CES 2015, autonomous driving seems the buzzword today. Somehow, someway these guys are trying to paint a picture that we will just read our iPad and sip a latte whilst our car takes us to work! Does anybody here actually believe that will happen in the next 10 years?!!! No way. There are just way too many legal issues involved. I for one would like my car to be able to help me drive in gridlock since it’s mind-numbingly tedious. With jerks cutting in, and people pushing to block you as you change lanes, it’d sure be great if our newer cars had the ability to defend itself against such stuff. Trick is – older cars. Nobody is going to retrofit a 1991 Geo Metro with high-tech sensors to drive autonomously. No insurance company on earth is going to insure against stupidity. I don’t think its legal issues, I think its insurance issues. The first self-driving cars are going to need a lot of testing by the insurance industry to figure out if they’re really going to decrease accidents. If it turns out that autopilot really does reduce at-fault accidents by 50-75%, I imagine they’ll make you install one of those tracker things (Progressive Snapshot) to give you discounts depending on how much you let autopilot drive vs. how often you take the wheel. Even in the case of Tesla, there is autopilot but there is still human commands – lane changing and getting off the highway. So where does that fall on the improvement spectrum? it will happen much sooner than 10 years. An affordable car that will solve your gridlock scenario has been available for a few years, the Subarus with EyeSight.